We make no representations and accept no liability for the accuracy of the information on this blog. 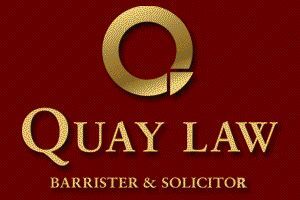 Views expressed here may not necessarily be the views of Quay Law or those of the Quay Law Staff and Principal. The contents of this blog are for general information only and does not constitute legal advice and should not be substituted for professional legal advice obtained from your lawyer. If you would like legal advice please contact our Auckland law firm to discuss your legal matter. UNAUTHORISED USE. The contents of our article and legal tip may be subject to copyright, legally privileged and confidential. Any unauthorised use, distribution or copying of the contents is expressly prohibited.